The thunderstorm forecast for last night did not happen. It was still dry when we set out early to walk in the state park but the clouds were heavy and threatening. Today was a diversion from the Lincoln Highway to get some walking in as an antidote to all the driving. The next large lake we will see will be Lake Tahoe. We had decided on a couple of the trails but having parked and headed off towards the beach to begin the first, had to revise our plans. The park was still very quiet. High winds meant that walking along the beach would have felt like walking through a sandstorm and I had no need for exfoliation. I suppose I should not be surprised at the wind given our proximity to the windy city. 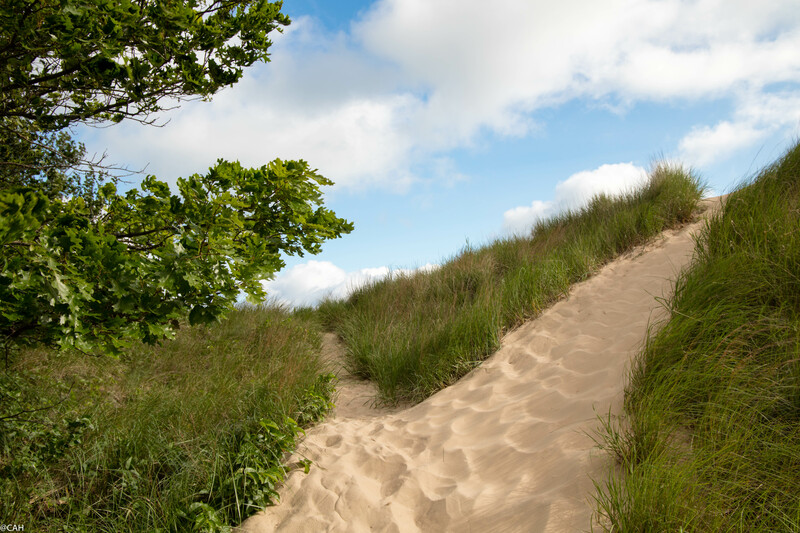 One of the other trails had been recommended to us yesterday by a guy in the visitors’ centre as ‘the best walk in Indiana’ so we set off for that into the oak woodland that backs on to the dunes. 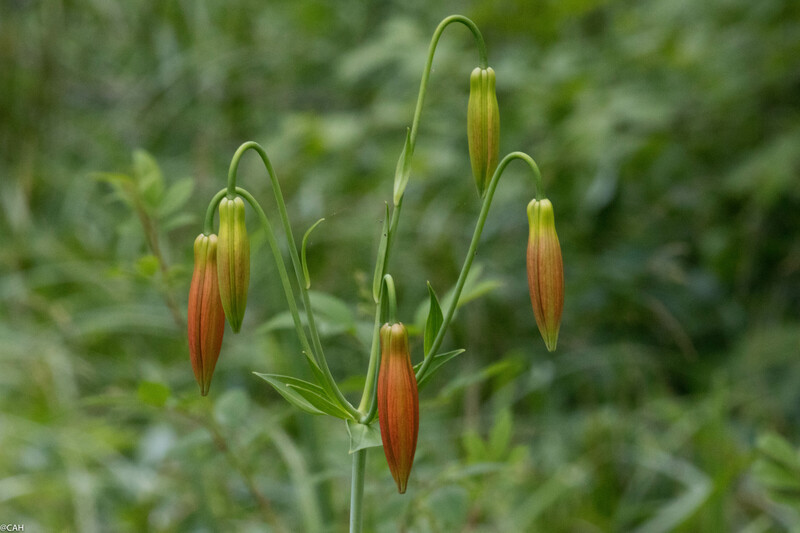 There were numerous wildflowers alongside the trail and we caught a brief glimpse of a white-tailed deer and a six-lined race runner lizard. 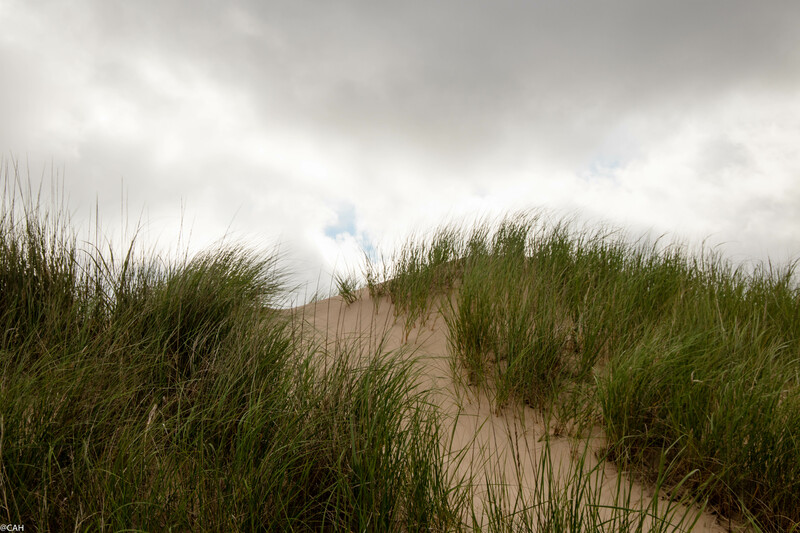 After climbing up a dune for a view, the trail then led along a very narrow ridge which did not feel safe given the high winds. We decided to divert again and head for the bird observatory overlooking the swamp, only to find it closed. 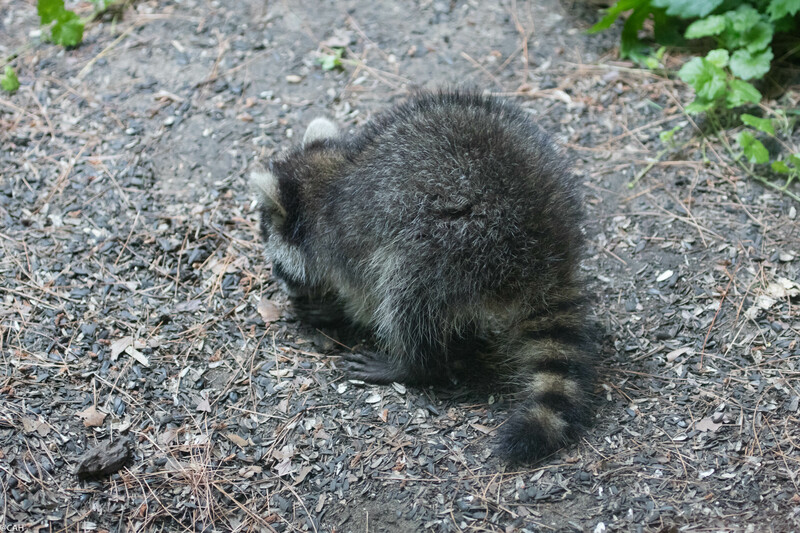 At the Nature Centre, this raccoon was doing a good job of clearing up around the bird feeders. A little further on, a boardwalk led into the swamp. We heard a lot of birds including a woodpecker, although did not see any and there were several frogs in the swamp. Some members of a youth camp were doing a cross-country run and while we were having a rest on a bench at a trail intersection, we helped by directing the stragglers down the correct route. By this time, we had walked almost 8 miles and the weather was improving so we decided to head back towards the beach and have a coffee in the cafeteria situated upstairs in the pavilion from where I hoped to get some good views of the lake. The beach still had ‘no swimming’ signs up but the wind had lessened and a few people were out walking. Across the lake in the distance, I could see the skyscrapers of downtown Chicago but the cafeteria was ‘closed for winter’. I am not sure when summer is, as it is 1st July today. Back at the hotel, I have now got all the sand out of my boots, am cleaning my camera and trying to identify the wildflowers I have seen, only one done so far. Tomorrow it is time to move on again through Illinois and into Iowa, our seventh state. We hoped you enjoyed the hiking despite the wind! It was great reading your story.